Feeds all of the Aquarium – surface, bottom, and middles. 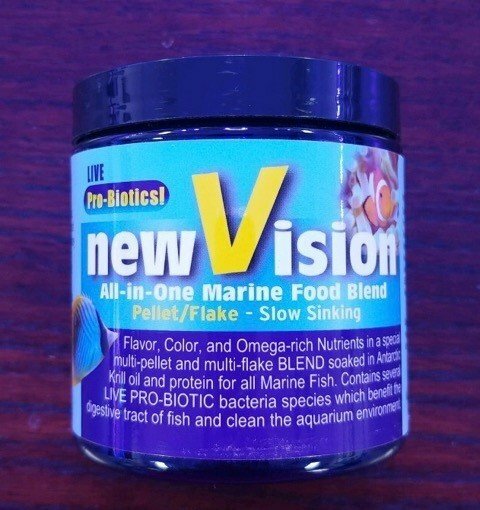 The first of it’s kind, this special blend is made up of four different pellet foods and two flake foods, thoroughly mixed and then coated with 100% PURE Antarctic Krill Oil and a sprinkling of dry Krill Protein Meal. The flakes are Aquaculture “cold-processed” and never heated above 120 F, thus preserving LIVE PROBIOTICS as well as delicate, critical nutrients like pigments, Vitamin C, amino acids, essential enzymes and Omega 3 fatty acids.